ARLINGTON, Va. — The National Association for Chain Drug Stores moved its Access Agenda platform forward with comments to Congress as committees consider the fiscal 2018 budget for the Department of Health and Human Services (HHS). NACDS said Thursday that it submitted statements highlighting pro-patient health care solutions as the Senate Finance Committee and the House Ways and Means Committee discussed the 2018 HHS budget in hearings. Through Access Agenda, the association aims to foster a collaborative approach to patient care and public policy development by the retail pharmacy industry. 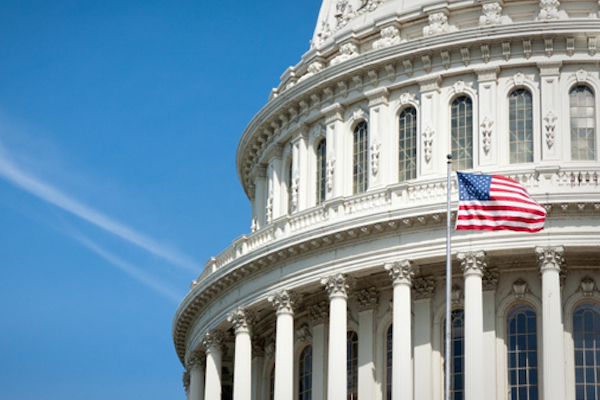 In the statements, NACDS called on lawmakers to support H.R. 592 and S. 109, the Pharmacy and Medically Underserved Areas Enhancement Act, which would enable pharmacists to provide services to underserved Medicare Part B beneficiaries, subject to state scope of practice laws. “Pharmacists play an increasingly important role in delivery of services,” including access to health tests, managing chronic conditions such as diabetes and heart disease and expanded immunization services, the statement said. NACDS noted these services would be key in helping lower health care costs and improving patient access and care quality. Similarly, NACDS pointed to the value of medication adherence and medication therapy management (MTM) services, citing public and private studies that show the health benefits and efficacy of these program. For example, NACDS cited a report by the Centers for Medicare & Medicaid Services (CMS) finding that Medicare Part D MTM programs consistently improved adherence for patients with chronic conditions, leading to savings of nearly $400 to $525 per patient in lower overall hospitalization costs. NACDS, too, stressed its commitment to advancing innovations to improve the Part D MTM program. To ensure the success of the Enhanced MTM Model pilot being run by the Center for Medicare & Medicaid Innovation, “retail pharmacies must be included in the Enhanced Model Pilot programs,” the association said. Also in its comments to the congressional committees, NACDS called for more transparency between Part D plans and retail pharmacies in the use of direct and indirect remuneration (DIR) fees, post-adjudication fees, and quality and performance-based network fees by Medicare prescription drug plans. And toward the goal of reducting prescription drug costs, NACDS cited a March 2017 voter survey by Morning Consult — commissioned by the association — finding that 80% of respondents think pharmacists are credible sources of information about how to save money on prescription drugs, which was the highest rating of health care professionals tested. NACDS also provided recommendations for lowering drug costs, including greater use of generic drugs and support for policies to step up the use of more cost-effective biosimilar medications.